For someone who felt like an outcast in high school she has certainly come a long way. Everyone from Chanel to Yves Saint Laurent dresses her. 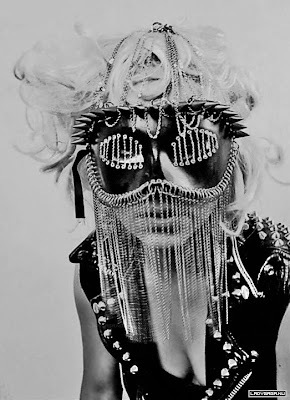 She's collaborated with Alexander McQueen, Thierry Mugler, V Magazine, MAC Cosmetics & more. Her relationship with her fans is phenomenal, with 25 million of them following her on Twitter. I think what Lady Gaga does for others is extraordinary. She wants her fans to love themselves & says it's not about selling the most records for her. "It's what you do, when you're at the top to inspire, and influence and save the people that lift you" that matters. "I live halfway between reality and fantasy at all times, because I choose to, and anyone can choose that, and I believe everybody has something so magical about themselves, and why as a society, are we so afraid of magic? Why is magic so synonymous with artifice? Why is the fantastic synonymous with a lie? If art is a lie, then I will tell that lie every day until it is f***ing true. " *Madonna fans, please don't kill me. Madonna will always be the Queen of Pop. She just has competition for her title! 1) The Beautiful People board over on my Pinterest.